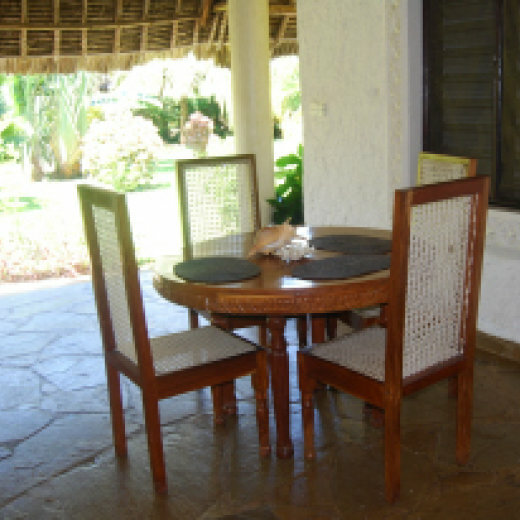 Privately owned villa, situated in picturesque South Coast Diani Beach area of Mombasa, Kenya, and located in half an acre of fragrant gardens with magnificent flowers, bushes and exotic trees. 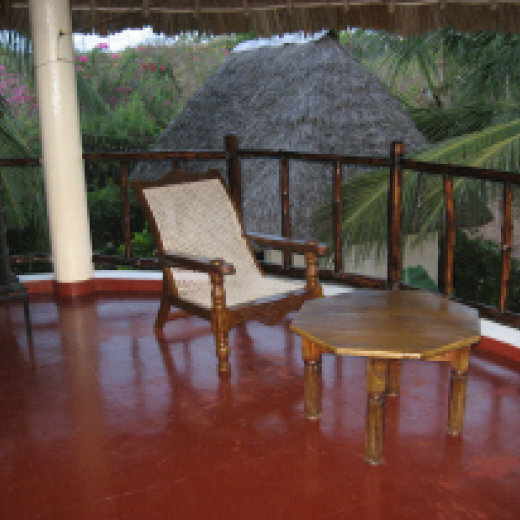 You are only half an hour's drive from Mombasa and an 8 minute walk to the fabulous sunshine white sandy beach. The Villa is an ideal location for anyone seeking a good value relaxing sunshine beach holiday at an exotic location, away from the regimentation and bustle of a hotel. Although secluded, it is especially good value for families or groups of friends out for a good time in the laid back and relaxing coastal idyll. 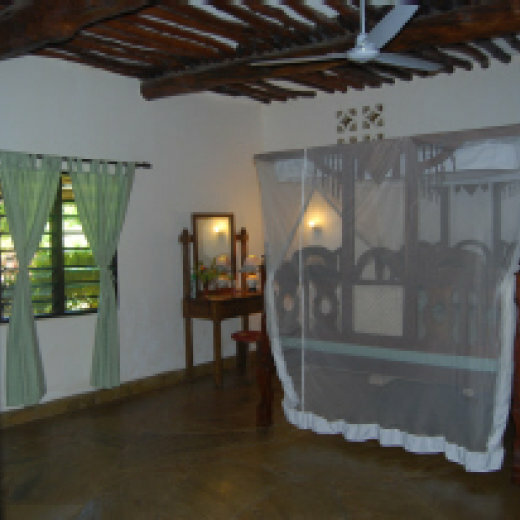 The villa can accommodate up to twelve persons sharing. The villa comprise three bedrooms, kitchen, living room, shower, WC & veranda. Laundry service available. Spacious, well ventilated, and has silent running ceiling fans in each bedroom and the living room area. 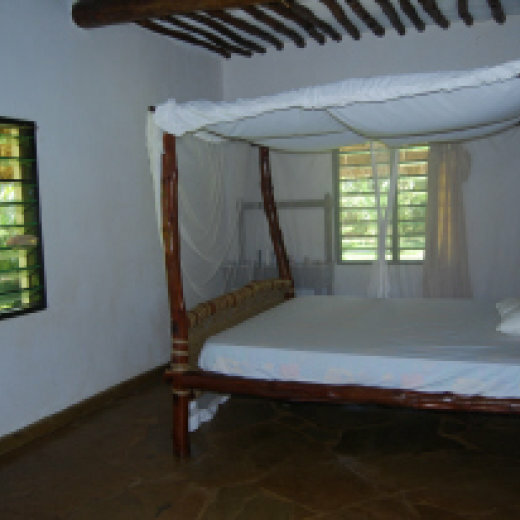 All bedrooms have a queen size bed made from lamu and funzi hard woodcarving. The living room area provides additional sleeping space. The kitchen is equipped with a cooker, fridge/freezer and full sets of cutlery and utensils. All supplies and provisions can be purchased from the nearby supermarkets. A chef can be contracted at a very reasonable rate for those who need this service. 3 spacious bedrooms with king-size beds and baby cot. 2 extra queen size beds and 2 sofa beds upstairs. Spacious upstairs lounge with TV, video, stereo, dining area, 7 sitter sofa. Picnic area in the beautiful garden and gazebo. Secluded with Ample security and a guard at the gate. Shopping Mall, Banks, restaurants, clubs, fun activities for kids within walking distance.